Life is busy. You do so much for everyone else. You deserve a little Self-care Sunday...just for you! Join yoga instructor Christine White for an hour of YOU time. Suitable for all levels and abilities -- from brand-newbies to veteran yogis and everyone in between -- this class will heal your mind, body and spirit with a focus on relaxation, flexibility, balance and strength. Come solo or bring a friend for extra fun. And the fun doesn't end when you roll up your yoga mat. Hang around after class for some social healing too! The Junction will have a special yoga-inspired cocktail available for purchase (in addition to full bar and non-alcoholic offerings). Please bring a yoga mat and wear comfortable activewear. 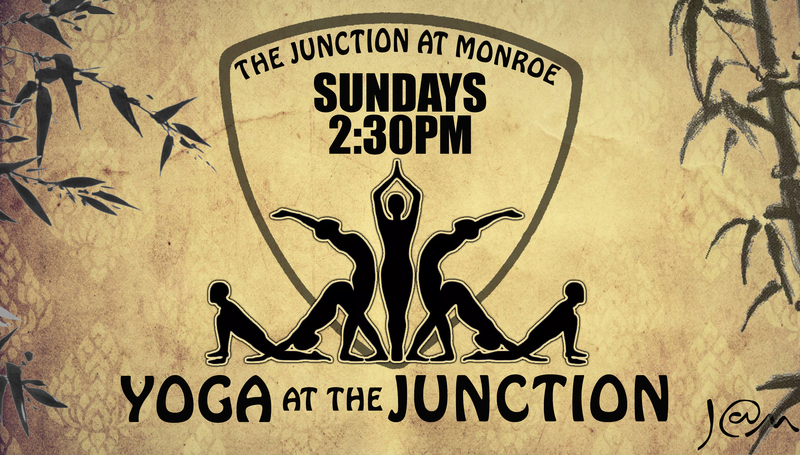 Most Sundays at The Junction -- check dates for details. Limited space available; guarantee your spot with advance registration.